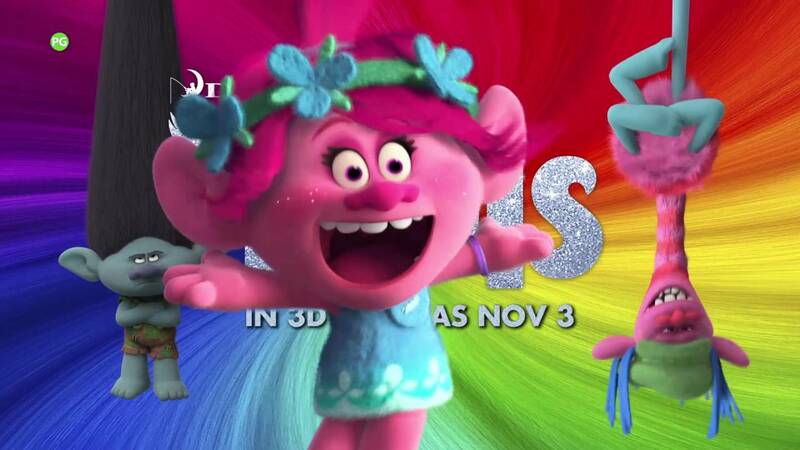 DreamWorks Animation’s TROLLS is a hair-raising comedy filled with unbelievable adventure and incredible music! Known for their crazy, colourful, and magical hair, Trolls are the happiest, most joyous creatures ever to burst into song. From the genius creators of SHREK, TROLLS stars Anna Kendrick as Poppy, the optimistic leader of the Trolls, and her polar opposite, Branch, played by Justin Timberlake. Together, this unlikely pair of Trolls must embark on an adventure that takes them far beyond the only world they’ve ever known. Featuring the voice talent of Anna Kendrick, Justin Timberlake, James Corden, Kunal Nayyar, Gwen Stefani, Russell Brand, Ron Founts and Icona Pop. In 3D Cinemas November 3rd. Also in Digital 2D. With Chinese Subtitles.